The former meeting site of the influential Hamilton Club has been designated as a historic municipal landmark by the city’s governing body. The club’s building located at 32 Church Street was the meeting place of influential city residents. Most prominent Patersonians boasted of being part of the club, among them Garret Hobart, vice-president of the United States from 1897-1899. Hobart and a group of leading Patersonians touched on the lack of club facilities during a discussion inside the vice president’s home during the summer of 1890 which led to the chartering of the club. Soon thereafter, Hobart and 15 other founding members of the club had to find a meeting place. In 1897 members of the club erected the neo-Italian renaissance style building which would be utilized as the club’s home until 1902, when the Great Paterson Fire passed through the building leaving nothing behind but burnt walls. A year later in 1903, members of the club voted to rebuild the structure. Members wanted to build not a newly designed building, but restore what was torched by the fire. The building, which is currently owned by the Passaic County Community College, was faithfully rebuilt in its original design. 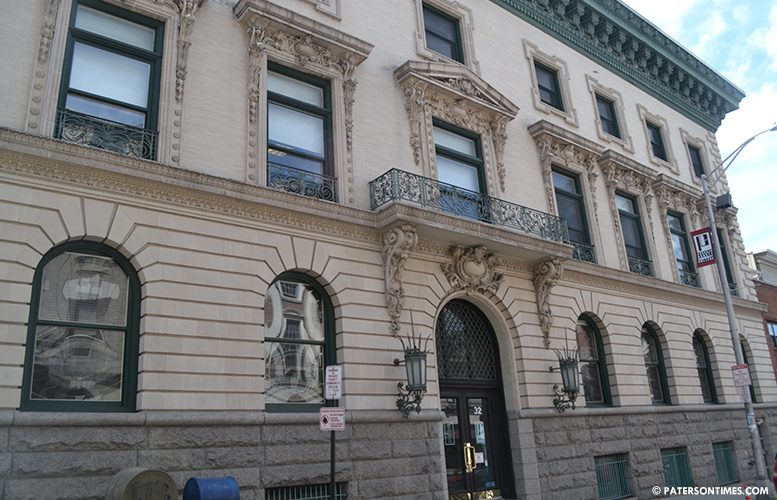 Council members on Tuesday evening, following a similar approval from the city’s Historic Preservation Commission, approved the landmark for inclusion in the city’s local historic landmark list. Even before the local designation, the building was already listed on the national and state historic registries.